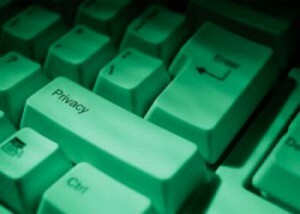 Golden Proxy Blog » Blog Archive » What Differences Does Private Proxy Service Make? There are specific formats in which the private proxies are applied. Usually the most common formats offered and provided by the private proxy services are of the IP port services. There are many other features of private proxy services which determine the needs and demands of the users. These services are authorized by the proxy servers and setting agents. This key feature is being discussed and considered to the greatest extent. In this regard, the proxy setting becomes easier. There are mainly two methods of customizing and authorizing the private proxy services. In one procedure, the IP authentication is carried out. On the other hand in the second procedure of authorizing the private proxy service, the username and password is required to enter. As a result the proxies can get the formats of IP and port as well as the username and password. The major property of the private proxy services is that these are highly anonymous proxies. These proxies allow the user to surf and browse safely. The web surfing can be done privately and the identity is also protected. The chances of leakage of identity are minimized. Different websites and links which cannot be opened or opened with difficulty on other proxies are done easily on the private proxy servers. In addition to this, fake accounts can also be made by using these private proxy services. One can have the detailed information and availability of the private proxy service on golden-proxy.com.